young - tis a bad player - till I got addicted. You mean you don't think it's too violent? I personally find the result of blue shells horrifying. On which system did you play it? That'd help narrow down the search. Anyway, I played the original one a ton back in the day... lots of fun! Then the GC one (Double Dash) I played a lot as well. 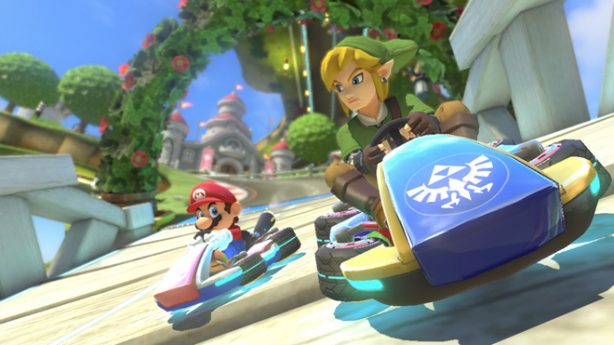 Never really played the portable ones or the Wii one to any great extent, but am really enjoying Mario Kart 8 now on Wii U. 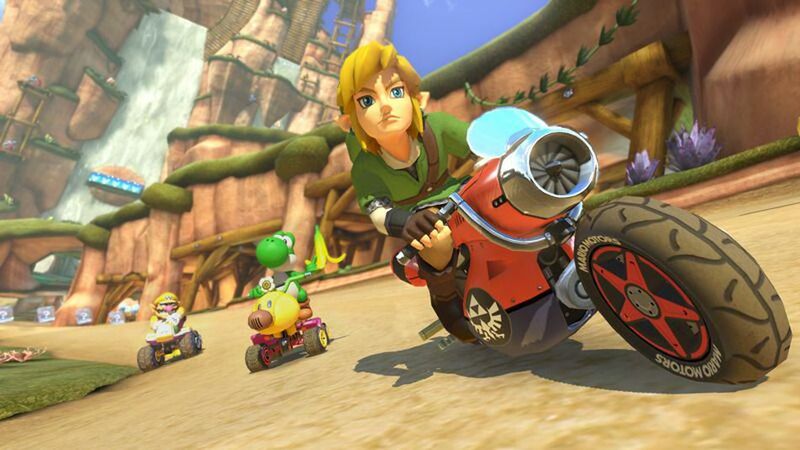 The first DLC pack comes out next week so at long last everyone can live their dream of having Link drive a motorcycle around with Mario characters! They should have given him his horse and had it run hilariously fast. That's a good point... there has never been more than one Mario Kart per console/handheld. Luicci is that guy that looks like Mario, but he is wearing green. Waroro (maybe Koreans call him by a different name. They call Bowser - 쿠파 (Kupa, Cupa).) It's that ghostly looking figure. The one that has only these characters. I didn't see too much violence. What blue shells? The one I played did not have any parachutes or motorcycles. Last edited by Woody on Thu Nov 06, 2014 11:49 pm, edited 1 time in total. If this helps, it's the 2005 one. Oh, okay. Probably the Wii one then. With the motion controls? I struggled with the controls because I'm old. We call Luicci Luigi. I'm not sure on the other one. Waluigi maybe? He's not really ghostly, but he is weird looking. I want to race as that now. Ghostly, I dunno, was Boo a usuable character maybe? I don't remember that game well. I always just use the nun-chuck because it's easier. ...I didn't know you could even do that. >_> Do you know if you can also use the pro controller or whatever its called? I might actually go back to it if that's the case (or probably not because MK8 is sufficient for my karting needs and Nintendo is still heavily supporting it with new content). I think he's probably referring to Wario. Yeah, but he listed Wario directed above Waroro. I typically can learn the games well enough to beat the AI most of the time, but whenever I go online I do pretty terribly. I've played the Nintendo 64 Mario Kart a couple times (when my cousins would bring it). Other than that, I have never played much of anything Mario. Anywhooo, have you guys seen these? They are kind of creepy. Anyway, the first round of DLC comes out tonight. 8 new tracks, 4 more racers, and a few new karts and cycles and stuff.